Mexico’s Caribbean coast is an ideal location for a destination wedding, and the RIU Palace Las Americas will take your breath away. 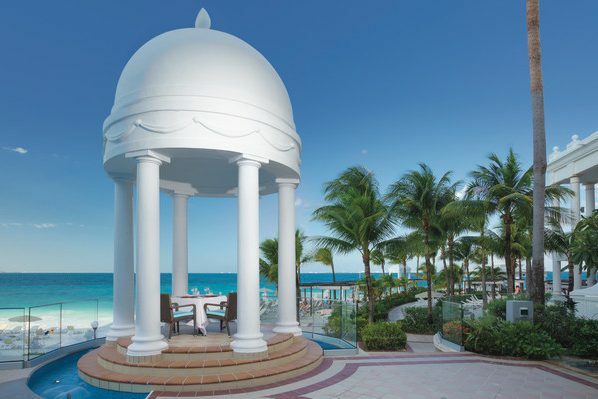 This adults-only resort allows you to have your wedding ceremony in the velvet sands on the shore or at the beautiful gazebo overlooking the Caribbean Sea and infinity pool. Relax at any of the pools on the property, feel one with the beach as the infinity pool appears to be overflowing into the ocean. 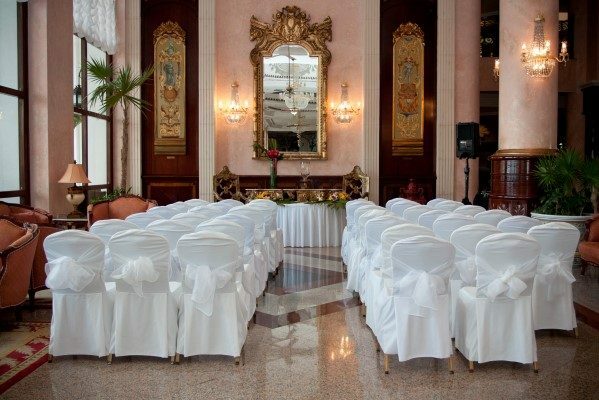 The resort provides you with everything needed for an unforgettable destination wedding. Renovations: In 2016, RIU Palace Las Americas reopened after modern renovations, and rebranding to become an adults-only resort. Exclusively for guests ages 18 and older, this change was made in order to give the property a more romantic atmosphere. Guests are welcomed with a glass of champagne upon arrival, as well as a special wine list and romantic dinners on the beach. During this renovation, the resort also upgraded certain facilities, have included wifi throughout the pool and beach areas, as well as upgrading the pools and garden areas. The resort offers more than the just on-site amenities as it is within walking distance to downtown Cancun, with famous nightlife options and many different restaurants to choose from. With complimentary sunfish sailing, snorkeling, hobie cats, and windsurfing, this resort is an ocean lover’s dream! All guests have complimentary exchange privileges with three other sister RIU properties nearby. The base price for this package is $2199. There is a less expensive wedding package available for only the wedding couple for $1299. Upgraded packages, additional guests, and add-ons are available for an additional cost. Beach – 70 guests max, Solarium – 40 guests max, Gazebo – 20 guests max. The wedding coordinators typically respond within 48 – 72 hours During the resort’s busy season, they may take longer. Rooms range from $170 – $230 per person per night. Every room includes complimentary wifi, a minibar, and a liquor dispenser. The whirlpool bath suite room categories include a jacuzzi on the balcony. There are 372total guest rooms with views of the ocean. The property is one building that stands 8 stories high. Handicap accessible rooms are available upon request. RIU Palace Las Americas shares exchange privliges with nearby RIU properties. RIU Palace Las Americas is located about 15 miles from the CUN airport. The resort is about 5 minutes outside of downtown Cancun. There are 372 total guest rooms with views of the ocean. The property is one building that stands 8 stories high. Handicap accessible rooms are available upon request. 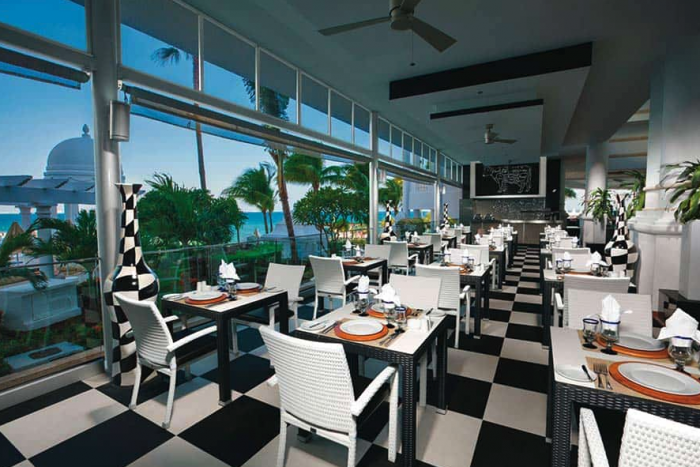 This hotel has exchange privileges with RIU Palace Peninsula, RIU Cancun, and RIU Caribe. RIU Palace Las Americas allows for a 3 adult max room occupancy. 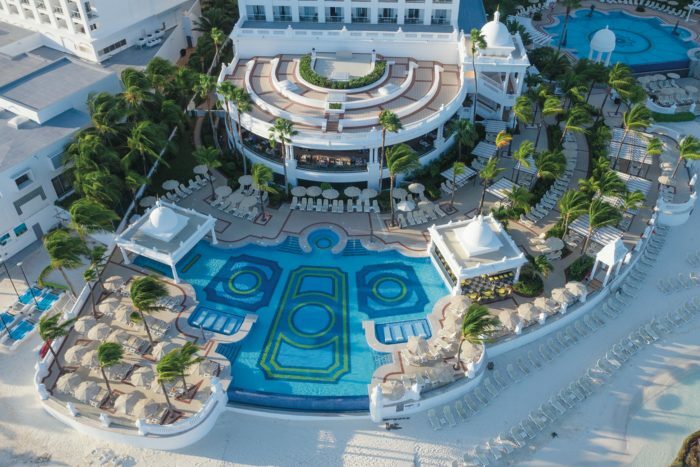 Q: What do brides usually compliment about RIU Palace Las Americas? A: They always compliment the good service, quick responses from wedding coordinators, and all the different venues to choose from! Q: Is there anything else specific to know about any of the venues at RIU Palace Las Americas? A: I suggest to the brides to take in consideration the beach in their weddings because there is sand, which makes it hard to wear high heels. 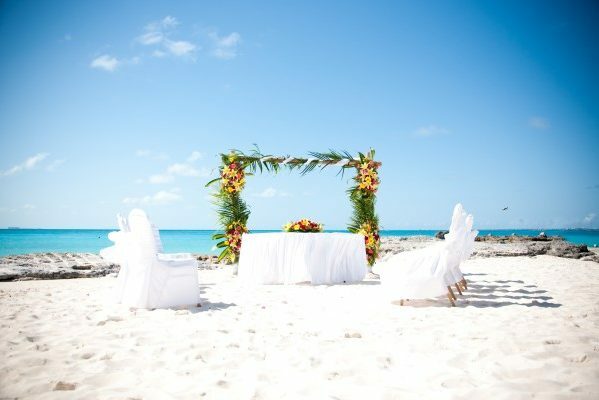 I also suggest using light colors when having a beach wedding.